Disclaimer: The services and information offered on this website are intended for informational and educational purposes only and are not intended to diagnose, prevent, treat, or cure disease. The statements on this website have not been evaluated by the United States Food and Drug Administration. If you have a medical problem, see a licensed physician. The Food-Based Healing Program is a combination of energy therapy movement called Qigong, and an energy therapy whole food protocol called Food-Based Healing. By practicing Qigong the Metabolism (Qi) is accelerated, building energy and blood circulation, while increasing vigor each day. The lifeforce energy in food is equally important to sustain optimum health. 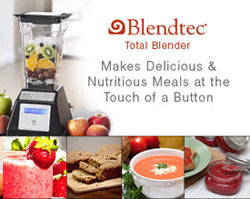 When using a Blendtec 3HP blender and a 3 part combination of books, Conquering Any Disease, Smoothie Formulas and Cooking with Qi, this program, geared for long term success, takes Food-Healing to another level, addressing body imbalances, pH, advanced diseases and even cancers, creating a super high frequency of overall health and wellness. This is a totally revolutionary Qigong Healing Energy Experience and WILL launch your practice into hyperdrive! Aside from the raw power of this Qigong Style on its own, when you watch this SPECTACULAR QIGONG DVD, your mind (visually) is given specific imagery that precisely teaches you how to increase the Qi-Energy in each movement. These animations go far beyond simple beauty... they increase the Qi-Energy you feel dramatically. 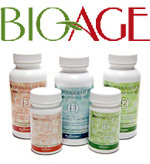 Having more Life-Force Energy is the #1 secret for maintaining a powerful Immune System. The amazing music of both versions offer you a choice of teaching style and ambience. Taoist Stretching opens and unlocks every muscle and joint in your body. 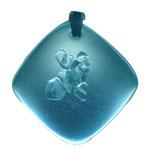 5-Element Qigong Healing Meditation takes you deep into Breath-Based Visualization Healing. 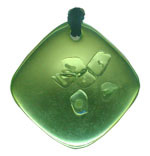 Natural Walking Qigong teaches you to walk around your neighborhood, while collecting Qi. effective Qigong Methods for Energy & Healing. Includes Nine-Breath Method...the Most Powerful Breathing Exercise on Earth! This video is beyond just Qi Powerful... it is a highly spiritual experience that you will enjoy practicing for a long time. We ultimately connect to the "True Source" of the Energy and learn to practice Qigong with our Spiritual Heart. The routine leaves you joyous afterwards and Includes the Nine-Breath Method along with breathtaking video from the Hubble Telescope. For the first time ever people can learn Nine-Breath Method from home without attending a workshop!!! How can such an advanced practice be learned from a DVD? Simple... We have used the most sophisticated Animation to show how "Subtle Abdominal Movements" are the single most powerful tool to Pack Energy into your Dan Tien, increasing your internal energy reserves. Aside from the Nine-Breath Method that has been taught LIVE in the USA to 40,000 people with RAVE REVIEWS... This video contains the beautiful and sacred Full-Body Cleaning Exercise. This is a highly spiritual routine that will chase away tension and stress from your body. The Drawing the Bow exercise will give you the "Light Warrior" power you need to kick down a steel door!!! Full-Body Spiraling draws energy from the Divine Source into the Pituitary Gland. In short, this video rocks the house and we know you will think so too! Incredible Music & Voice Over Guides you through this amazing Qi Healing Experience. 50 Min of Highlighted Seminar Footage Explains Theory & Concepts behind each exercise. 35 Min Level-2 Routine" FULLY ANIMATED greatly deepens your connection to the Qi. 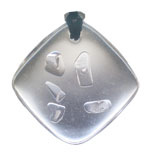 Special Bonus Hands on Healing Demonstration via Nine-Breath Method. 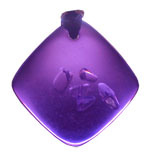 Wuji is a spontaneous practice of Qigong where a person does not dwell on their next movement. Like artwork... a unique form is created where creativity is allowed to express itself. This is a SLOW DANCE through magnetic energy. The instruction teaches 7 Wuji Style Movements, which are broad categories of Qigong moves that are used in thousands of Qigong forms. Learning these "Energetic Principles" allows you to create forms like a Qigong Master on your first try. Instructors report "Cosmic Experiences" when practicing the L-1 or L-2 Standing Qigong Forms and closing with Wuji. Words ultimately can not describe the Wuji. It can only be experienced. Complete Breakdown of all the subtleties behind 7 Wuji Movements. Highest Quality Animation shows clearly what is happening and how to increase Qi. Explains how to Transition from 1 move to the next seemlessly. 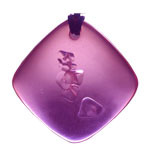 Special Bonus: 60 Advanced Instructors in ultra-deep Wuji Practice. Standard DVD & High-Definition BLU-RAY. Having the tools to learn Qigong correctly in the beginning makes all the difference. 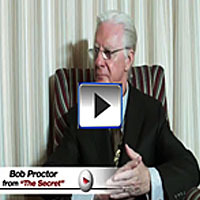 These 6 DVDs took over 10 years to produce and that's because they are Precise Detailed Teachings communicated to thousands of people in live seminars... then further refined and only delivered in the most palatable way based on actually teaching REAL people. The Box Set contains all three Qigong DVDs packaged beautifully in a nice box. Covers Qigong Level-1 Routine, Healing Meditation, Taoist Stretching, Qigong Walking, Qigong Level-2 Routine, Nine-Breath Method in Precise Detail, Level-3 Wuji Create Your Own Form and the 7 Wuji Style Movements. 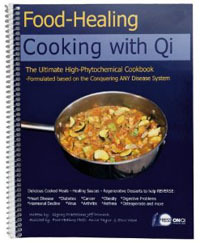 Includes: 6 DVDs Packed with 350 minutes of highly effective Qigong Methods for Energy & Healing. Routine includes: Taoist meridian stretches to ensure you remain flexible as a yogi. Journey to 100 push ups to ensure you get muscular shape and definition. HyperThrows so your reflexes and speed become as fast as a stealth ninja. Horse Stance for developing leg strength to kick down a door. You’ll feel amazing and sweat more than running without leaving your spot! Get stronger than you ever imagined. 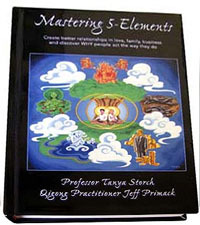 Mastering 5-Elements takes a normally “hard to understand” topic and transmits in a language that anyone can immediately relate with. Psychology has its Type A personality, however METAL is far more clear in its description of that the overly organized do to survive and how it survives in business. FIRE is passionate, exciting and is also prone to get bored quickly if there is not a challenge. TREE people are compassionate and make great healers, but are often disorganized and may need to become more disciplined. WATER people are introspective, philosophical and like to eat the same foods, keep the same friends and become fixed in a particular way of doing things. 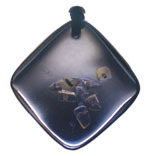 EARTH is a mix of 5-Elements and is the most balanced, but may have trouble taking action or making choices. Whatever our dominant element, we become more powerful and effective through knowledge of our tendencies and those of people around us. It's never been easier. 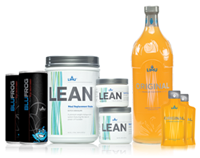 Succeed in transforming your body without giving up good tasting foods. People who never thought they could stick with a “food program” have been doing it for over 5 years because the program is realistic and geared for long-term success. 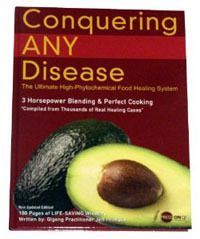 This is the book you want for a disease-free life. The most powerful medicine comes from the foods in your grocery store. 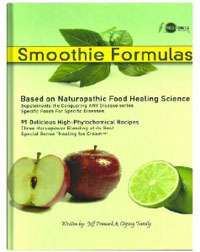 Smoothie Formulas is based on the teachings of our renowned Food-Healing system. 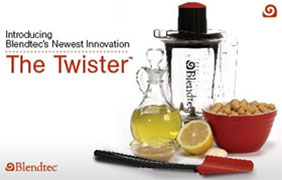 For years people asked for specific recipes and this inspired us to make Smoothie Formulas. Its been updated many times and each recipe, even the more serious ones for cancer - all have been tested to taste good! Each formula was fine tuned to perfection by blending connoisseir and longtime student of Naturopathic Food-Healing, Jeff Primack. Following the teachings in our 150 page manual and DVDs is a LOT EASIER WITH THIS BOOK. Jeff crafted Smoothie Formulas based on Naturopathic teachings for: Type 1 &2 Diabetes, Cancer, Heart Disease, High Cholesterol, High Blood Pressure, Cleansing Plaque form the Arteries, Chronic Fatigue, and much more. Raw Key Lime Pie, Chocolate Natto Chai, Raw Zucchini Alfredo, Asparagus Next-Level Soup, Pizza Food-Healing Style, Soba Shiitake Salmon, Coconut Flour Crepes, Healing Turmeric Sauces, Watercress Sour Cream, Okra Oyster Gumbo, Bitter Melon Infused Diabetic Cuisine, Curries, Tacos, Cheesy Crisps and many more not found in other cookbooks. The BioSuperfood (BSF) formulas are whole food products composed with four of the most nutrient dense algae found on earth. The result of 15 years of intense Soviet research, the formulas are considered advanced nutritionals. The formulas are Health Canada certified and approved as "A source of antioxidants for the maintenance of good health." Now is the time to get serious about your well being and prepare to make a stand in favor of your family’s health. ASAP® Health Max 10 and ASAP Health Max 30 are immune support supplements, using American Biotech Labs, LLC's unique patented SilverSol Technology® and are available through thousands of doctors and medical professionals worldwide. Take it daily to help naturally boost your immune system, and let it function as your family’s first line of defense. It is a supplement dedicated to helping defend your body from whatever life throws your way. ASAP Health Max products are all natural with only the purest ingredients, scientifically tested, and only available through healthcare practitioners. 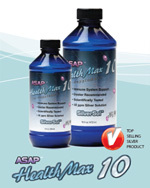 ASAP® Health Max 10 - 16 oz. Now is the time to get serious about your well being and prepare to make a stand in favor of your family's health. ASAP® Health Max 10 is an immune support supplement available through thousands of doctors and medical professionals worldwide. Take it daily to help naturally boost your immune system, and let it function as your family's first line of defense. 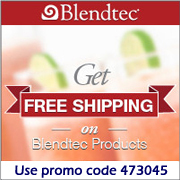 It is a supplement dedicated to helping defend your body from whatever life throw's your way. Health Max is only available through healthcare practitioners. ASAP® Health Max 30 - 16 oz. ASAP® Health Max 30 is a supplement designed just for doctors. This 30 ppm silver solution is 3 times stronger than the original ASAP Solution®. Designed to be used at your doctor's discretion, this extra-strength silver supplement is the ideal choice for those who are looking to help support their immune system as fast as possible. 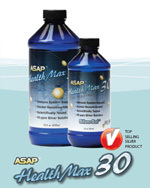 ASAP® Health Max 30 is available in both an 8 oz. and 16 oz. bottle through your health care practitioner. Ask your doctor today about ASAP® Health Max 30. 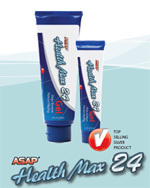 The active ingredient in ASAP® Health Max 24 Gel is American Biotech Labs, LLC' unique patented SilverSol Technology® at a powerful 24 ppm silver. The product is currently being used by thousands of men and women to help soothe and renew skin all over the body. It has become a necessary ingredient for daily skin care routines, as it helps naturally heal and instantly make the skin feel noticeably softer. The simple fact that this product works is why it is becoming a top choice in skin care worldwide. 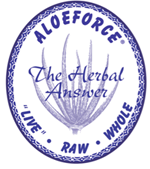 Herbal AloeForce whole-liquid is 97% Pure AloeForce and 3% tonifying, adaptagenic (balancing), Global, Aloe-Extracted Herbs including the following herbs: The Essiac herbs (Sheep Sorrell, Burdock Root, Slippery Elm Bark, Rhubarb Root), Cats Claw (Uncaria Tomentosa), Astragalus, Pau D'Arco, Hawthorne Berry and Chamomile. While it is the most effective Aloe Supplement there is - it is also the most potent, effective and gentle delivery of these magnificent herbs (by being extracted with AloeForce and delivered into the body with AloeForce!) View product label here. 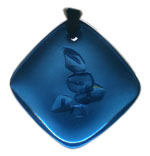 Pure AloeForce whole-liquid is 100% Purified*, Unheated, "Live", RAW, Whole Leaf, Organic Aloe Vera. Unflavored and undiluted it is liquified whole-leaf Aloe with all its impurities removed while protecting the Sacred Structures of Nature's #1 Healing Aloe Plant. View product label here. Herbal AloeForce Skin Gel is the juice formulation described above with added Green Tea and Hyaluronic acid (the moisture in our cells!) and processed to be non-sticky and completely and easily absorbed into all 7 layers of skin! Completely undiluted - You'll experience the Full Force of Aloe's regenerative powers from the outside-in, feeding the skin system to rejuvenated Health and Beauty! View product label here. Mistify your face, hair, scalp & body anytime, anywhere (even over make-up). Close eyes before spraying. Smooth in or air dry for creamy radiant skin. A little bit goes a long way! 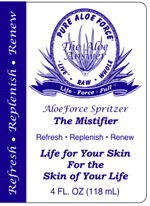 Use the Mistifier for ALL your topical needs. 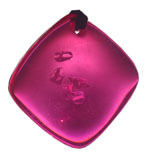 Absorbs in for deep penetration to joints and muscles. For beautiful, healthy, detoxed, clear, regenerated, radiant skin. Fabulously effective for skin health and comfort, wrinkles, joint health and comfort and all topical uses. Spray over any other topical application to insure better absorption. 100% Liquified, Organically Grown, Whole Leaf AloeForce (no water ever added or removed) unheated from field to bottle, purified from all Aloe’s naturally occurring, toxic, irritating aloin and aloe emodins. Now with added NaPCA, absorbable Hyaluronic Acid to replenish cell fluids for hydration and moisturizing! And dazzling apple proteins & MSM for added fortifying. Ingredients: Aloe Barbadensis Miller Leaf Liquid, Sodium Cococyl Apple Amino Acids (proteins), Polysorbate 20 & Glycerin (to make it non-sticky), Sodium Hyaluronate (more absorbable form of Hyaluronic acid), Natural Fruit Fragrance (organic apple & lemon flavor extract)*, Potassium Benzoate, Potassium Sorbate, Sodium PCA (NaPCA), Methyl Sulfonyl Methane (MSM). * Flavor/Fragrance extracts do not contain fruit acids. Inventor John Ellis has world-wide patents on his remarkable, miraculous pure-water machine. In layman's terms, it produces water like it was millions of years ago - before pollution and diseases were created by mankind and water with a higher hydrogen molecule. Don't be fooled by other so-called water purifiers, distillers, reverse osmosis and the like. Nothing compares to the water produced by John Ellis' machine. 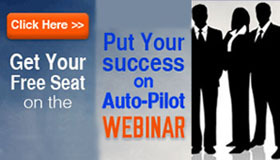 With over 200,000 confirmed testimonials, it's hard to debunk so many success stories. 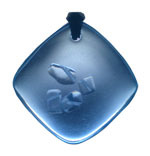 But, don't take our word for it - see for yourself by visiting John's site: www.johnellis.com. Cleansing wounds, cuts, burns, abrasions, insect bites, acne, skin-cancer. Lifeforce is an authorized distributor for John Ellis LMW Electron 4 and LWM Electron 5. To purchase the John Ellis Water Machine e-mail your order to lifeforce77@verizon.net or call 716-907-7724. For more information on magnesium see Dr. Sircus' website: www.magnesiumforlife.com. Limu (or limu moui) is a remarkable brown seaweed revered for its nutritional and medicinal benefits by ancient cultures in the South Pacific for well over 3,000 years. Known for its most powerful ingredient, Fucoidan, it has been praised for its life-sustaining, immune-supporting properties in more than 900 independent research studies and counting. Fucoidan has also been featured in The Journal of Molecular Immunology, Anticancer Research and the British Journal of Pharmacology, to name a few. Electromagnetic Frequencies (EMFs) emitted by electronics and electrical systems are chaotic in comparison to naturally occurring EMFs. The disorganized EMFs distort organic energy and weaken all living matter. 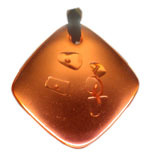 QBCs restructure and harmonize negative EMFs into coherent waves that easily attune with our energy field. In the human body, energy naturally flows in the same direction of all living matter. Excessive amounts of EMFs reverse this flow to the opposite direction. The result of this shift puts stress on all living organisms and interferes with the body's ability to function, stay centered and calm. QBCs shift this energy to an organized and structured form, restoring balance and strength in the body. The human body's electrical system strives to resonate with Earth's vibration of 7.83 Hz, a frequency named the Schumann Resonance. . However in today's technological environment, we are being bombarded and overwhelmed with more frequencies than the nature of our bodies are designed to receive. Countless modern conveniences, such as cell/cordless phones, cell phone towers, radio stations, computers, WiFi, florescent lighting, etc, constantly emit EMFs. 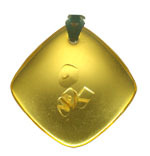 Wearing a QBC allows us to counteract these chaotic frequencies, resulting in a natural grounding effect and stabilized energy field. Select any three colors and create your very own Trinity!